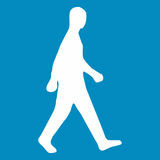 It is only by taking lead that you will leave from one point to another one. 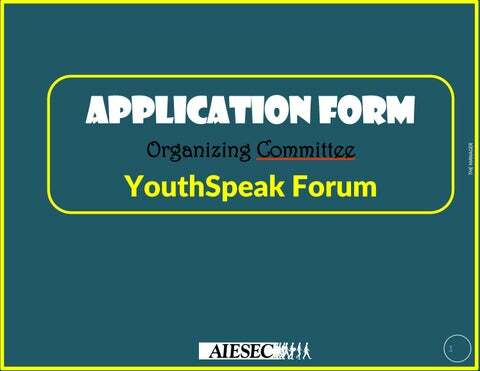 If you’re reading this, that means you’re showing interest in being part of the team that will allow us to experience the YOUTHSPEAK FORUM. Congratulations for taking this bold step and we wish you complete what you want. 1-Please talk about yourself. 2-For which Activity and which position do you apply? 3-What do you expect to learn from this experience? 4-What are your key strengths and weaknesses? How will they affect the role you are applying for? Why are you applying for this position? What is your vision for this activity? What are your innovations for this activity? How do you think you can implement Team standards with your members? 1- Why are you applying for this position? 2- List 3 companies that you can approach for this activity? 3- What is the benefit you envision to gain through theses partners? 4- Make a budget for this activity. 5- What are your strategies for having partnership (Technical, financial and logistic) ? 1-Why are you applying for this position? 2-How many participants do you want to get for this activity? 3-What is you communication plan to get this number? 1-Why are you applying for this position? 2-List 3 potential site where you can do this activity? 3-Concerning logistics, what do you need for this activity?